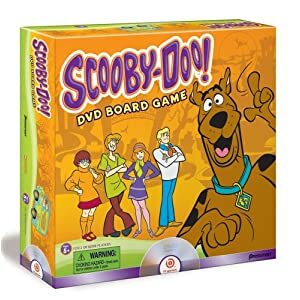 Scooby Doo Pop ‘N Race belongs to the widely successful Pop ‘N Race series, and is a simple game for kids that won’t bore supervising adults too badly. It adopts the Scooby Doo theme with kids being its target audience. 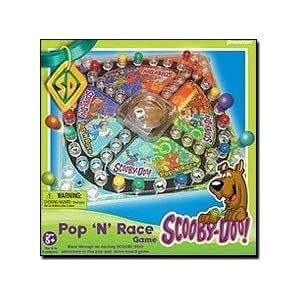 Scooby Doo Pop ‘N Race is essentially just like the Trouble board game. The object of the game is to get all your four matching movers from start to finish before anyone else does. The game assembles just like all of the other Pop ‘N Race games. The cardboard can be a bit flimsy, but it won’t be much of a problem as long as it’s handled with care. It comes with an easy-press dice dome that keeps everything in place. For safety purposes, the dice is contained in the center dome and cannot be removed. 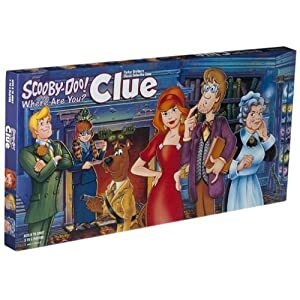 The player pieces however, are small enough to be a choking hazard for younger players, so parent supervision is still necessary during the game. Kids can easily pick up the basics of the game. As per instructions, a player must pop a 6 to put a mover on the game path. A bonus turn is then taken in which a player may advance this mover or any of his movers that are on the path. Popping a 6 always gives a player a bonus turn. In cases when a mover ends on a space occupied by an opponent, the opponent returns his playing piece to the corner space and it can only be brought back to the game by popping a 6. In order to get the movers home, players must pop the exact number of moves needed. All this adds to the simple mechanics that the game is trying to bring. Scooby Doo Pop ‘N Race is fun but it can be quite monotonous after a while. The game is largely based on luck so anyone has an equal chance of winning. A player can formulate the best strategy to win, if there’s any, but it all comes down to the outcome of the pop of the dice. This simple family game is a great way for kids to practice counting, differentiate colors, and begin number recognition. Older kids can even practice simple addition/subtraction while having fun playing this game. For anyone looking for a fun way to spend quality time with family and kids, Scooby Doo Pop ‘N Race is highly recommended. It’s simple, promotes social interaction, and the popping dome appeals to children. If you’ve played Scooby Doo games: Pop ‘N Race, please rate it by clicking on the Comments link below.